For The Cure? We are Pink for People!! Cold and Flu season has arrived! Try this delicious recipe for mulled apple cider that uses therapeutic grade essential oils for deep flavor and immune boosting properties. Clove and cinnamon oils are very strong antimicrobials and have been used since ancient times to ward off illness and infection. Nutmeg oil is also antiseptic and increases melatonin for a restful sleep. Orange oil stimulates circulation and boosts immune function and is rich in limonene, which has been studied extensively for its ability to combat tumor growth in over 50 clinical studies. If you don’t have oils you can use dried spices. Before flu shots and pharmaceuticals, people did this to their cider and their wine during winter months because the spices killed germs and helped stop them from spreading. 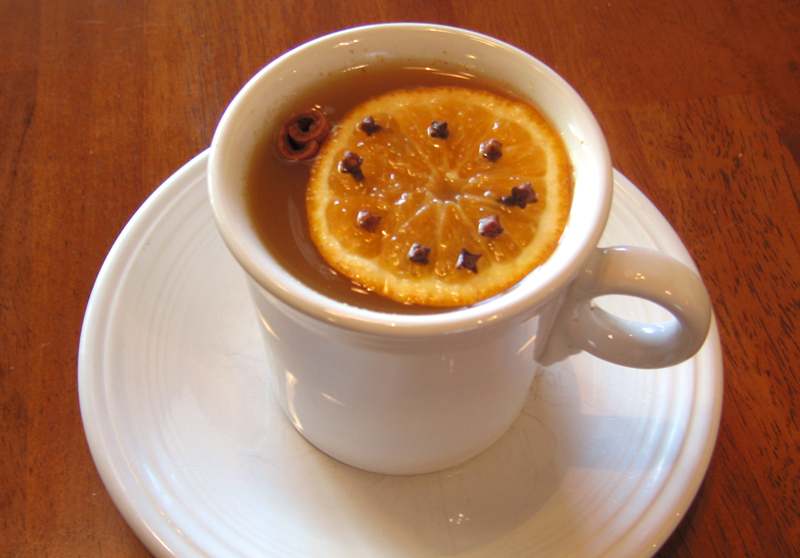 Warm the cider, orange slices and any dried spices together on medium-low heat for an hour. Add oils once you’ve taken the cider off the heat. Warm the coconut oil, onions, and curry powder in a large stockpot uncovered over low heat for 15 to 20 minutes, until the onions are tender. Stir occasionally, scraping the bottom of the pot. Peel the squash, cut in half, and remove the seeds. Cut the squash into chunks. Peel, quarter, and core the apples. Cut into chunks. OR use precut squash and save tons of time! Add the squash, apples, salt, pepper, and 2 cups of water or broth to the pot. Bring to a boil, cover, and cook over low heat for 30 to 40 minutes, until the squash and apples are very soft. Process the soup through a blender or use an immersion blender to smooth. Pour the soup back into the pot. Add the apple cider or juice and enough water to make the soup the consistency you like; it should be slightly sweet and quite thick. Check the salt and pepper and serve hot.